Born in Millersburg, Ohio, Chuck completed his veterinary degree at the Ohio State University (1984), decided to specialize in poultry health and attended the University of Georgia (UGA), earning a Master of Avian Medicine (MAM) (1985) and PhD (1992) in Medical Microbiology. Chuck was Cuddy Farms Director of Veterinary Medicine (1987-1989), Ross Breeders Inc. Head of Veterinary Medicine (1989-1990) and their first Vice President of Poultry Health and Quality Assurance and a Board of Directors Member (1990-1995). He was Bayer Animal Health Poultry Business Unit Manager of Professional Services from 1995-1998. 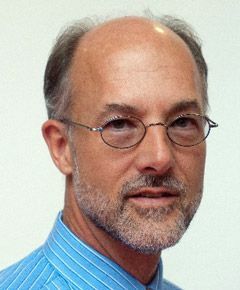 Since 1998, Chuck, currently professor, Director of Clinical Services and also Graduate Coordinator, has been a faculty member in UGA’s Department of Population Health (formerly Avian Medicine). From 2003-present Chuck has served as only the third Secretary-Treasurer in the American Association of Avian Pathologists’ (AAAP) 55-year history. Chuck’s primary responsibilities include oversight of and instruction in the MAM program, as well as providing service and research to the poultry industry. His career-long focus has been to seek out lasting worldwide food security solutions by reducing the presence of Salmonella and Campylobacter. To that end, he conducts research and works with poultry producers, but believes making avian disease education available to veterinarians worldwide best solves the problem. This resulted in his participation with the UGA/University of Melbourne online Master of Avian Health and Medicine degree program collaboration. Chuck’s veterinary medicine service also includes participation in national/international expert panels/committees, long-term leadership roles in major professional organizations, and editorial boards of major professional journals. Awards from industry, academia, and professional organizations include: Poultry Science Association Frank Perdue Live Poultry Food Safety Award (2010), AAAP Special Service Award (2008), UGA Charles N. Dobbins Award for Excellence in Service (2008), UGA Inventors Award (1999), and AAAP Reed Rumsey Award (1987). Chuck has published approximately 85 peer-reviewed journal papers, 12 book chapters, 25 lay publications, and 116 scientific meeting presentations. Either an office visit or a glance at Chuck’s computer confirms his love of family (wife Christa, children Beth and Christopher) and anything outdoors. An avid farmer and hunter, Chuck has a special love of fishing, especially Alaskan salmon.